Unlike SeaWorld Parks and Entertainment and Cedar Fair (parent company to Cedar Point), Disney and Universal use their parks for more than cross-promotion and merchandising opportunities. Until the late 1990s/early 2000s, they also used their parks as production studios and offices that acted as a counterpart to the Hollywood divisions (StudioCentral.com). The television channel Nickelodeon also operated two sound stages plus production offices at Universal Studios Florida (Riley, 1998). So, in addition to using the intellectual property provided by the movie and television studios, the two media giants used their parks as production facilities to create new media and entertainment content and create production jobs in Central Florida (Milman, 2001). Beyond MGM’s timeless logo featuring the Latin inscription ars gratia artis (art for art’s sake) surrounding Leo the Lion, the cinematic works and television programs can be converted from visual art to commodities because they now have a material place to exist in the real world accessible by millions. In essence, the entertainment elements and advertising materials are so thoroughly fused that it is nearly impossible for the average park guest to tell them apart. Beyond the surface level of movies and theme parks, there is evidence that, when planning a blockbuster movie, the studio has it in its mind whether of not this movie would be good to ride or be used as a theme in a park for shows and other attractions. Susan Davis (1996) explains that the media conglomerates, that primarily run the theme park industry, can pull from other media resources by way of acquisitions, partnerships, and licensing in order to grow and widen audiences and park guests. 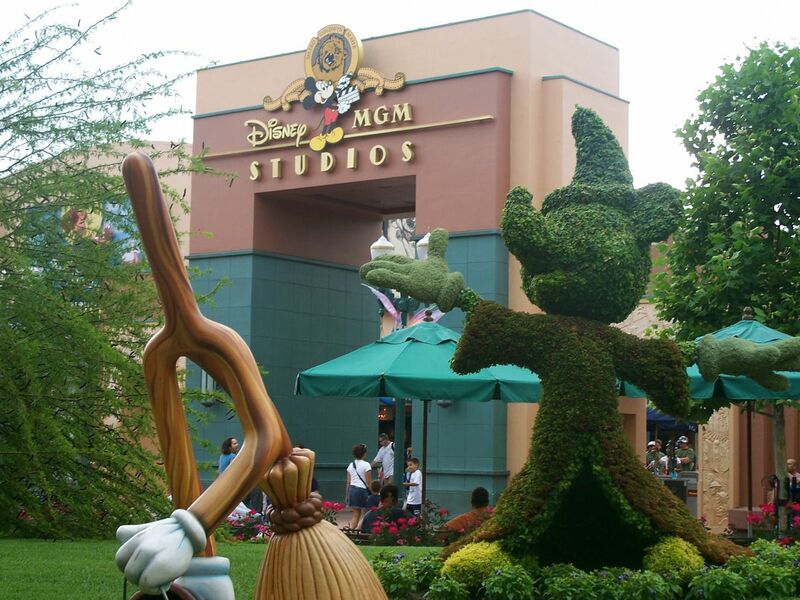 A classic example of this is the (no longer active) partnership Disney had with MGM Studios. Disney’s licensing deal with MGM allowed the company to use the iconic MGM logo and pull from its film library. It’s well established that theme parks are an outlet for the parent companies that own them, and the movie studios they also own, to act as conduits for one another: the end result being cash flow. 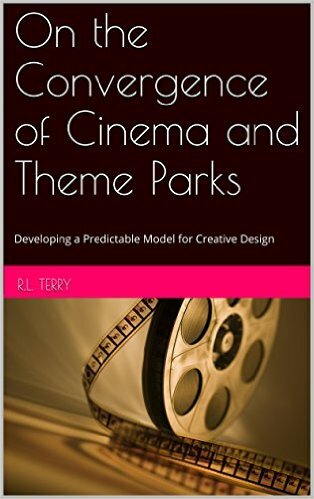 But, there are different ways of utilizing the cinema to benefit the theme park experience (Riley, 1998). Whereas Disney uses the characters in its movies to bolster the parks’ influence, Universal Studios (Hollywood and Florida) took a different approach (although, Universal is trending toward the Disney model in recent years). Universal Studios uses its studio tour(s) to blend labor with spectacle (Murdy, 2002). This offers the park guests a glimpse into how films are made. In recent years, this has provided less of a pull since it is common knowledge that a large portion of filmmaking exists within a computer. 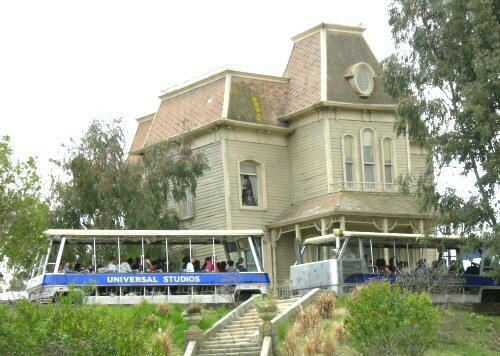 Universal Studios presents cinema and television history, production techniques, and special effects to impress the audiences and guests. So, one could assess that Universal Studios parks are self-reflexive in their choice of entertainment. At least this was true until park guests demanded more thrill rides and less education and appreciation for film and television art and history (Murdy, 2002). Find out what you missed by buying my book on AMAZON!